LAS VEGAS, NV - iBuyPower has unveiled a couple of new items at CES 2018 this year including its cool looking Snowbird case side panel, new LED cables ties, and also 'Project Case Builder'. 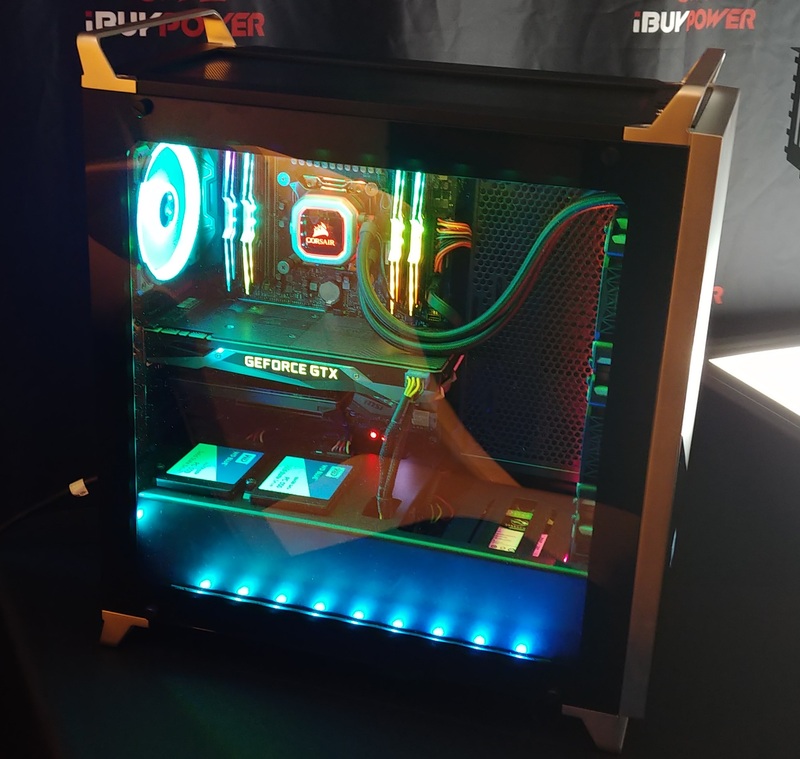 Project Case Builder is an internal modular case for customers when buying a pre-built system, and is designed to be useful to customers with special requests, or eSports teams who would like full customization of their chassis. Over the years, we have seen a lot of new devices and technology allowing people to upgrade their PCs components. But when talking about cases, outside of swapping a panel here or there, the case is pretty much a static entity in the system. Only one major chassis manufacturer has decided to go above and beyond this. iBuyPower, as a system integrator, has developed Project Case Builder with their customers in mind. 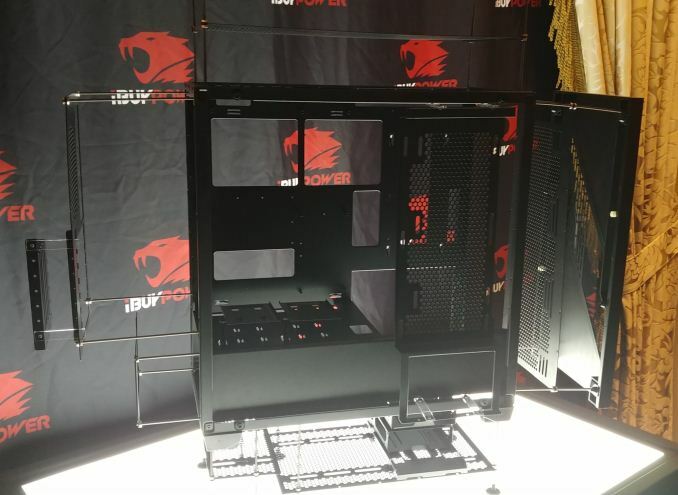 For all intents and purposes, Project Case Builder essentially makes the chassis modular allowing iBP to swap out storage bays, panels, feet and other parts depending on a customer request. 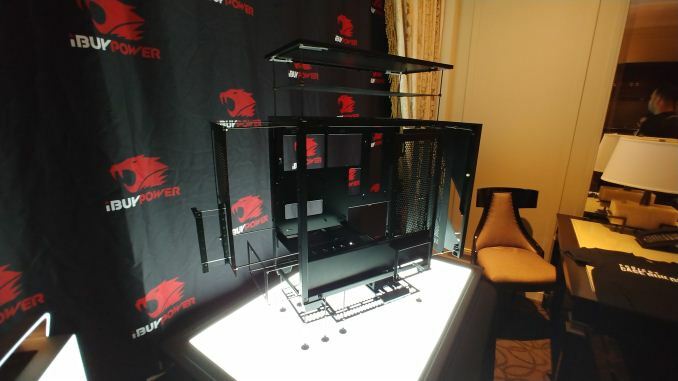 They displayed an exploded version of a prototype mid-tower case designed to show off how many different parts can be swapped in and out of the chassis. 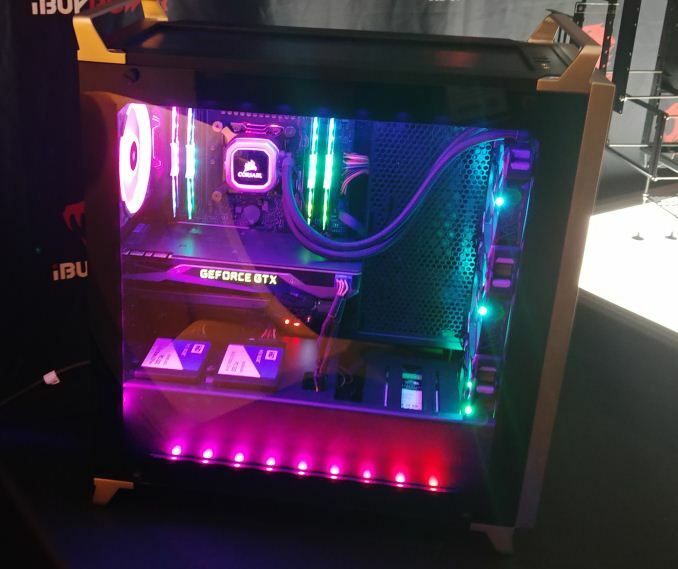 They also showed off a ‘finished’ version with a custom aluminium front panel and clear side panel, along with a lot of internal RGB lighting. Going the modular route for their cases allows them to keep less stock of different parts saving in warehouse space and other logistics. Customizations include skins and paint, and different arrangements for the components. It was mentioned that iBP's Snowblind LCD panel may be an option down the road. We will get more clarity on available options when it is closer to a release date. As of now, it will come in mid-tower form only with a potential to add a full tower version and other features later. Pricing was not set yet however they do hope to have it available sometime in Q2 2018 as part of its pre-built system programme. There are plenty of existing huge commercial cases on the market, so I fail to see how their own offering simplifies logistics unless they've made it 1) so inexpensive to produce, 2) so easy to assemble and maintain/upgrade components and 3) so well-designed for cooling that it is undeniably superior to all other available cases. As for customization of skins and paint, other boutiques already offer this service, so I don't see the big whoop, even though we all know that custom paint makes PCs run faster ;). > "eSports teams who would like full customization of their chassis"
Mountainmods and Caselabs have offered highly customizable cases for years.